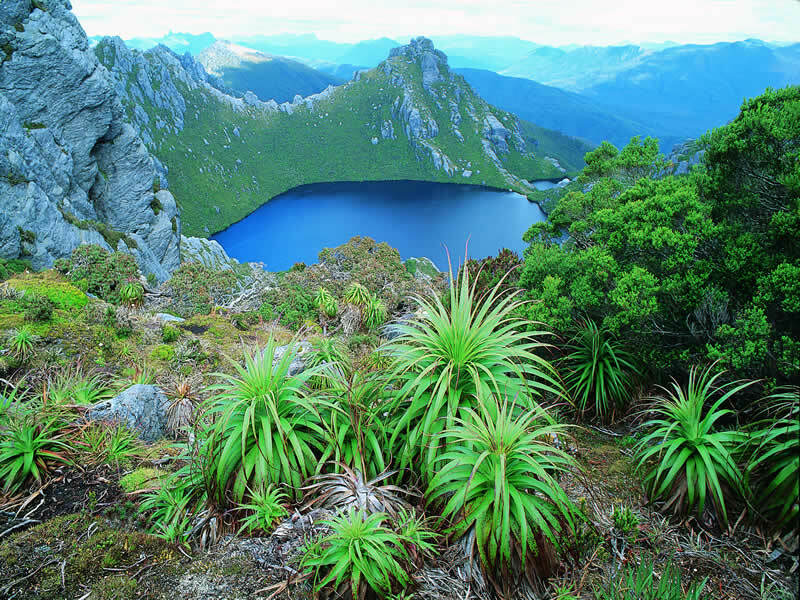 Independent & Group Tasmania Tours Packages in 2019/2020 from Travelbag. 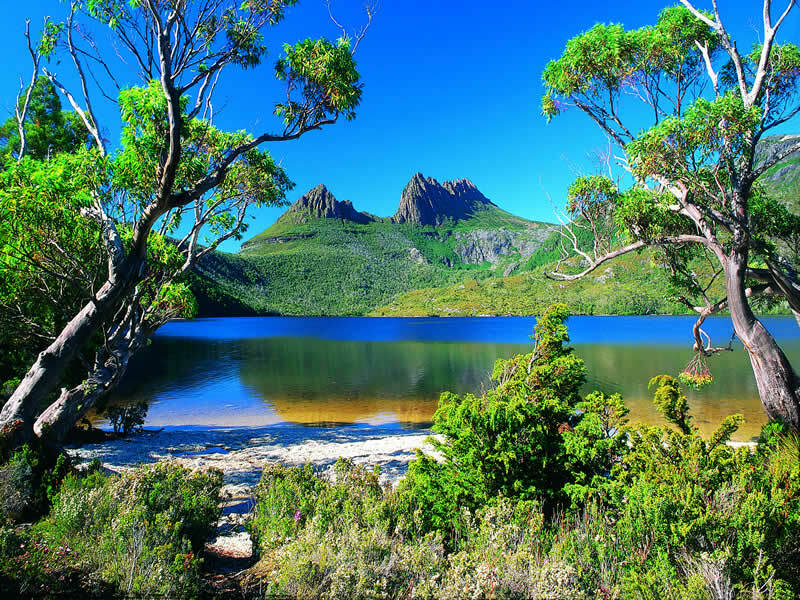 With its picturesque, fertile landscapes, a richness of flora and fauna, and an intriguing heritage, the beautiful island of Tasmania is a refreshingly unique take on an Australia holiday. 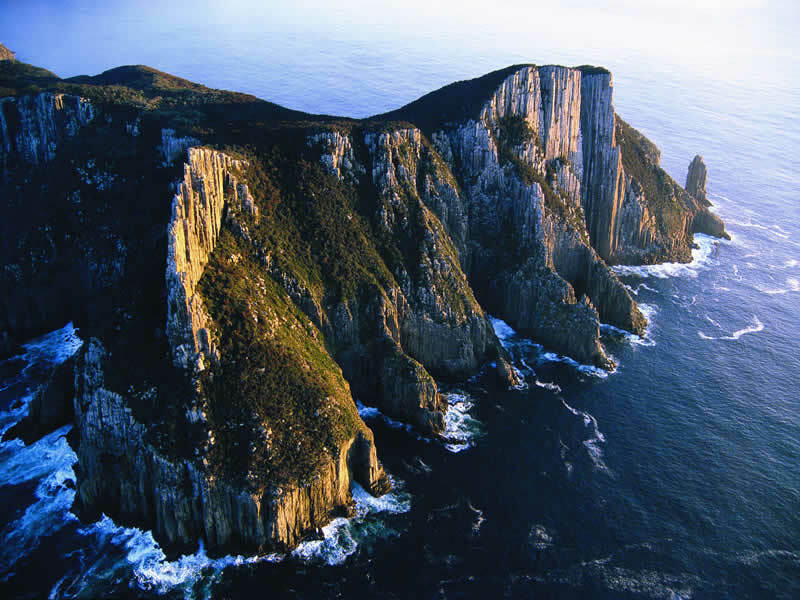 Located to the south-east of the vast mainland and separated by the azure stretches of the Bass Strait, Tasmania packs many of Australia’s notable features into a fairly small area, such as its white sandy beaches, glorious national parks and captivating culture. 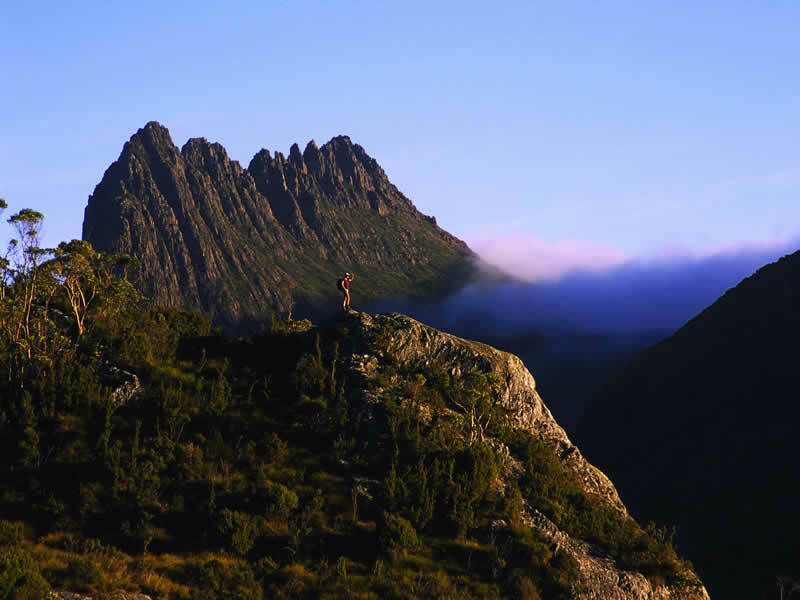 And yet, Tasmania differs in so many ways, from the more temperate climate, to the endearingly relaxed lifestyles, to the history of its infamous penal colonies, making it quite the discerning choice for a Travelbag holiday. 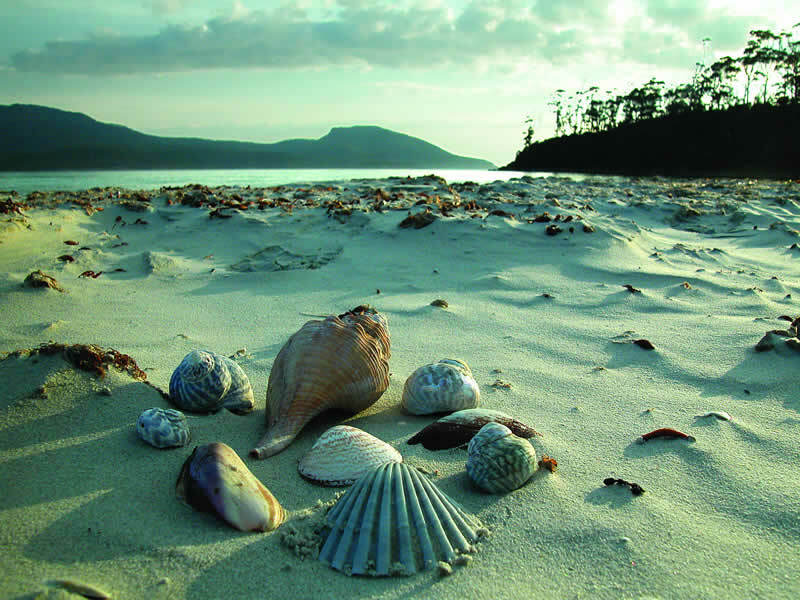 A Travelbag Tasmania tour allows you to get into the heart of this interesting and idyllic island, uncovering the secrets of its renowned past, exploring the historic townships and witnessing some Australia’s most remarkable – yet lesser-known – landscapes. 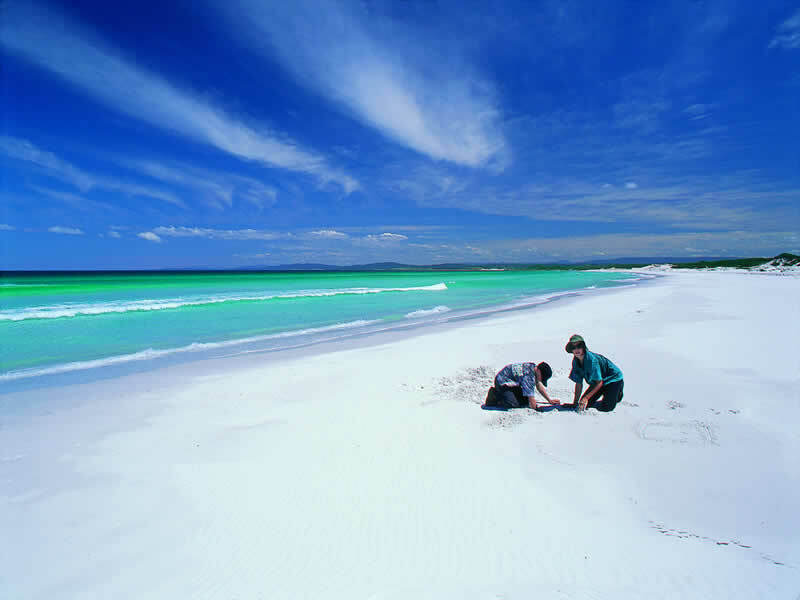 A Tasmania tour with Travelbag covers the entire island, with memorable visits to Freycinet National Park, where the impossibly azure waters and pearlescent sands of Wineglass Bay can be found, Mount Field National Park, home to the cascading Russell Falls, and Cradle Mountain. Tasmania’s richness in culture is also to be admired, most notably in Port Arthur, site of Australia’s most renowned penal colony. A visit to the historical site is a harrowing, yet fascinating, glimpse into a jail labelled ‘hell on earth’ by the 12,500 convicts sent there. No visit to Tasmania would be complete with making acquaintance with the eponymous Tasmania Devil, a creature which has now reached endangered status, while a trip to the quaint state capital of Hobart is also a must with its charming tea rooms, green spaces and museums. A charming blend of history and beauty, a Tasmania tour is an excellent holiday choice whether you prefer an independent tour, an escorted tour or a small group tour. Travelbag’s itineraries are bursting with fabulous activities to ensure you get the more for less on your Tasmania holiday. Isn’t it time to say G’day to ‘Tassie’ in 2018? 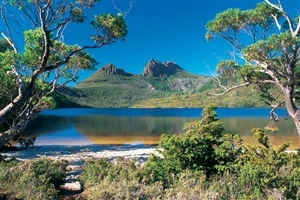 Outstanding scenery, delicious gourmet cuisine and unique cultural experiences - enjoy it all on this 10 day Tasmanian trip. Head to the beautiful island of Tasmania for a dream Australia holiday, where beach-fringed coastlines, lush greenery and characterful towns will leave you suitably enchanted. 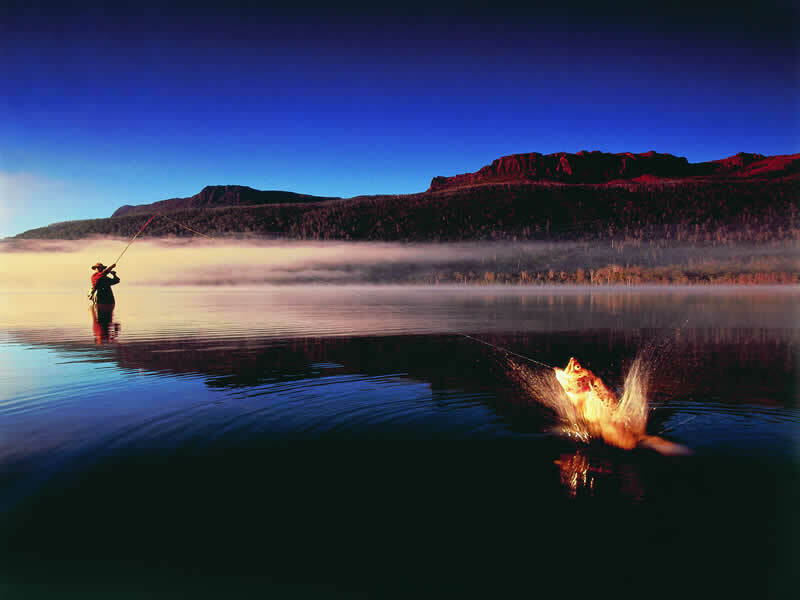 A Tasmania tour takes you off the beaten track for an experience that is refreshingly unique to that of mainland Australia. Travelbag offers a vast range of tours to suit every preference and budget, whether you are seeking the freedom of an independent tour or a self-drive tour, the structure of an escorted tour led by our friendly team of knowledgeable guides, or perhaps an intimate small group tour of no more than 16 participants. Allow Travelbag to devise an itinerary that will combine stunning scenery, absorbing culture and a host of unique experiences, together with the welcome convenience of arranged accommodation and transport services. 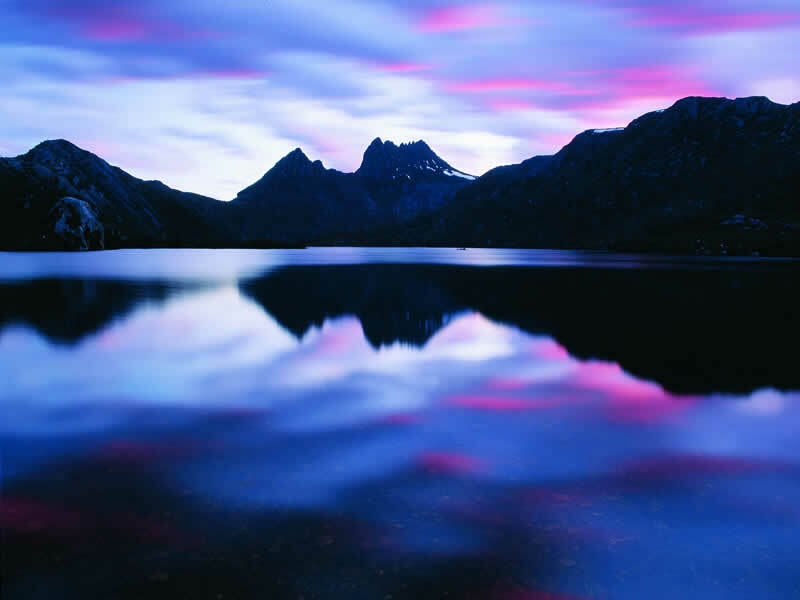 For more information about Travelbag’s excellent range of Tasmania tours, call 0203 944 2201 to chat with one of our knowledgeable travel experts about creating the perfect Tasmania holiday for you. Historic Port Arthur - Explore the prison facilities of Port Arthur’s notorious penal colony, described as ‘hell on earth’ by the 12,500 convicts sent there. Visit Hobart’s famous Salamanca Market - Peruse the famous wares of Salamanca Market, Hobart’s lively and exciting street market that takes place every Saturday. Admire the scenery of Freycinet - Explore Tasmania’s rich greenery in the lush Freycinet National Park, where you can learn more about the flora and fauna during a guided walk on Richardson’s Beach. Sail from Port Arthur to Hobart - Arrive in Hobart, Tasmania’s capital city, with a peaceful cruise on the Marana, via the renowned Isle of the Death – the site of mass graves for convicts. Meet the Tasmanian Devil - View the increasingly rare and endangered Tasmanian Devil during an eye-opening visit to the East Coast Natureworld. 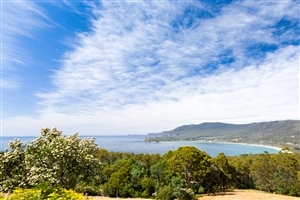 Stand on the edge of ‘Tassie’ - Gaze across the Bass Strait that separates Tasmania from the Australia mainland from the unusual ‘Nut’, a volcanic plug to the north-west of Tasmania. Cruise along the Gordon River - Cruise along the Gordon River, enjoying the views across the landscapes as you float by, before taking a walk through the rainforest en route to a penal colony on Sarah Island. Tickle your taste buds - Try something new with a visit to Ashgrove Cheese Factory, where you can tour the premises and sample some of the award-winning produce. Famed for its past as a former penal colony, Port Arthur’s Historic Site has become one of Tasmania’s foremost draws and is a fascinating insight into the small town’s infamous past. 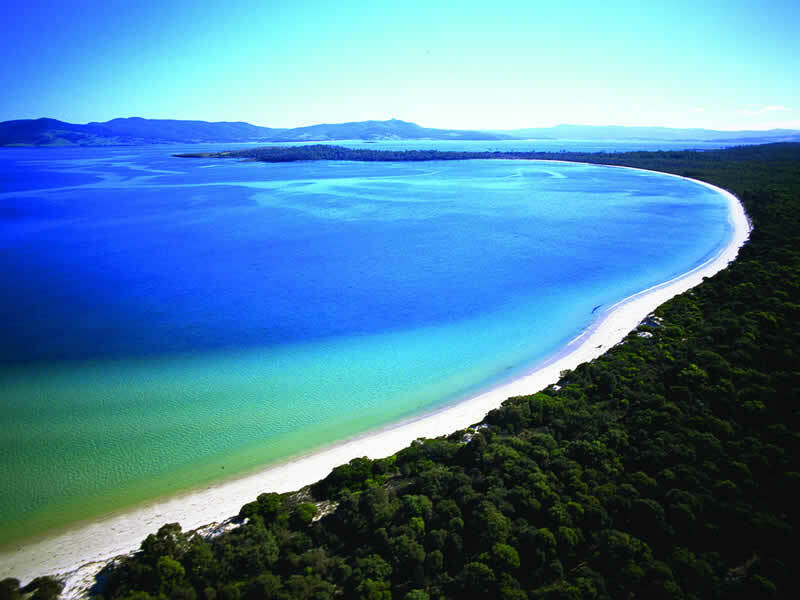 Tasmania’s best-loved national park, Freycinet peninsula is characterised by the peaks of its granite mountains, white sandy bays and breathtakingly beautiful topaz waters. 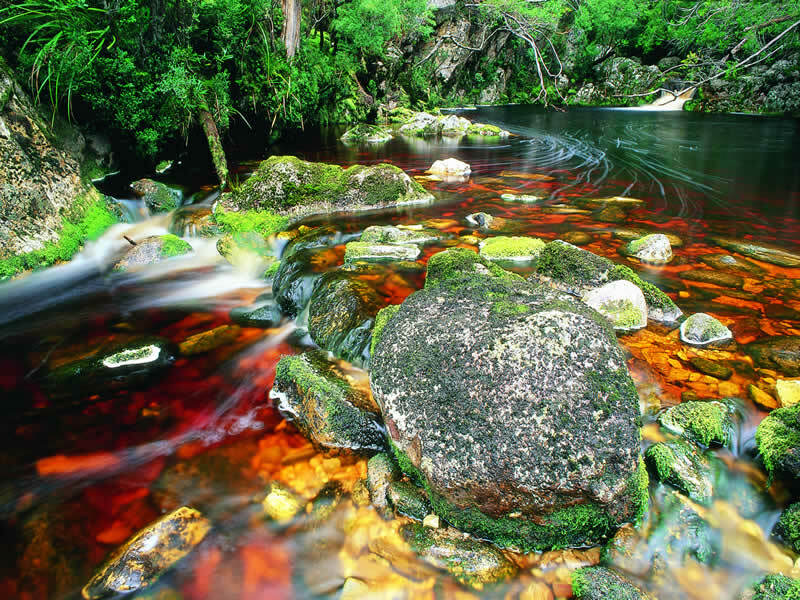 Head to Wineglass Bay or trek through the park’s wildlife abundant grounds for a true Tasmania experience. 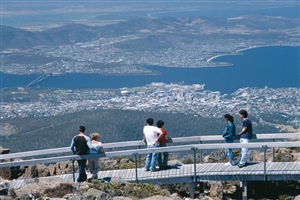 The Tasmania capital of Hobart is home to the state’s leading cultural attractions, a plethora of fine restaurants and historical landmarks. Travelbag tour highlights include a visit to the weekly Salamanca Market. Distinguished by its varied vegetation and pretty natural attractions, including the beautiful Russell Falls, Mount Field National Park is ideal for those who enjoy long walks in the company of stunning scenery or those who simply want to enjoy a picturesque picnic.